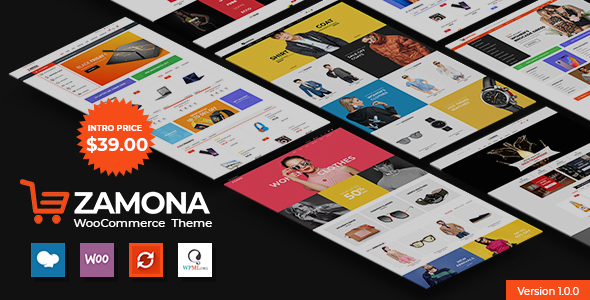 Zamona is a WooCommerce WordPress theme designed for shopping online stores. Zamona includes a lot of pre-designed layouts for home page, product page to give you best selections in customization. Zamona is suitable for the eCommerce websites such as supermarket, fashion, electronic, sport, wine … or anything you want. Zamona is a professional WordPress theme. It comes with a lot of features and variations: Responsive Layout, Mega Menu, WPBakery Page Builder, Awesome Slider Revolution, RTL, Product Quick View, Ajax Search, Ajax Cart, Easy One Click Demo Import, … and so much more. Easy to use, awesome and powerful. These are the words that we talk about Zamona. You will be able to build your website in a snap without coding knowledge. Are you ready to get it for now?